Folinic Acid with B-12 by Kirkman is a hypoallergenic supplement that seeks to support cellular function, methylation, enzymatic reactions and normal homocysteine levels. Allergies and sensitivities shouldn't keep you from getting the nutrients you need. 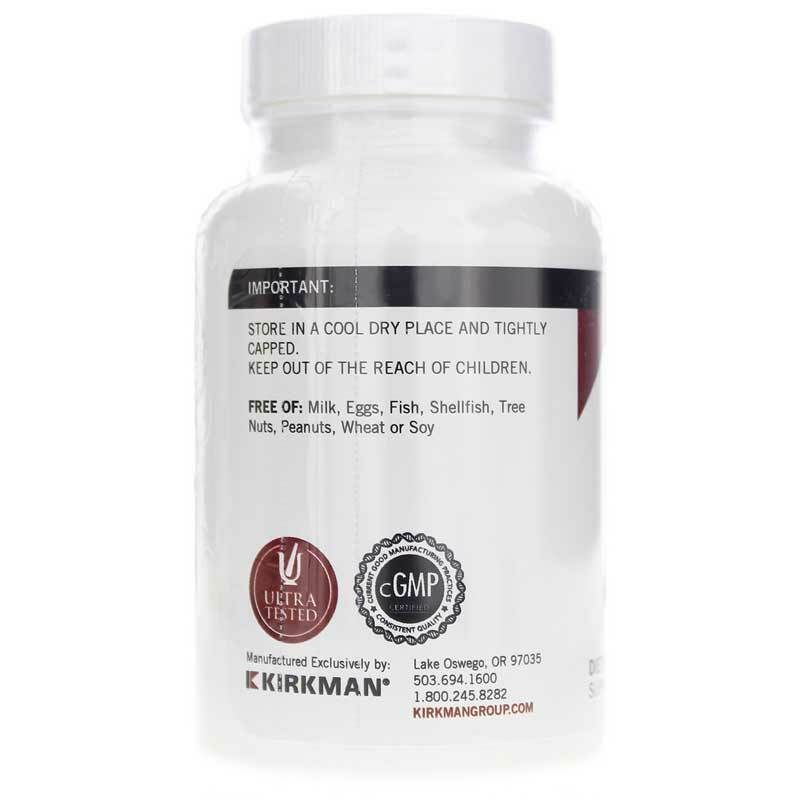 Manufacturers like Kirkman that produce hypoallergenic supplements have individuals like you in mind. They provide essential nutrients without irritants to make your life easier. 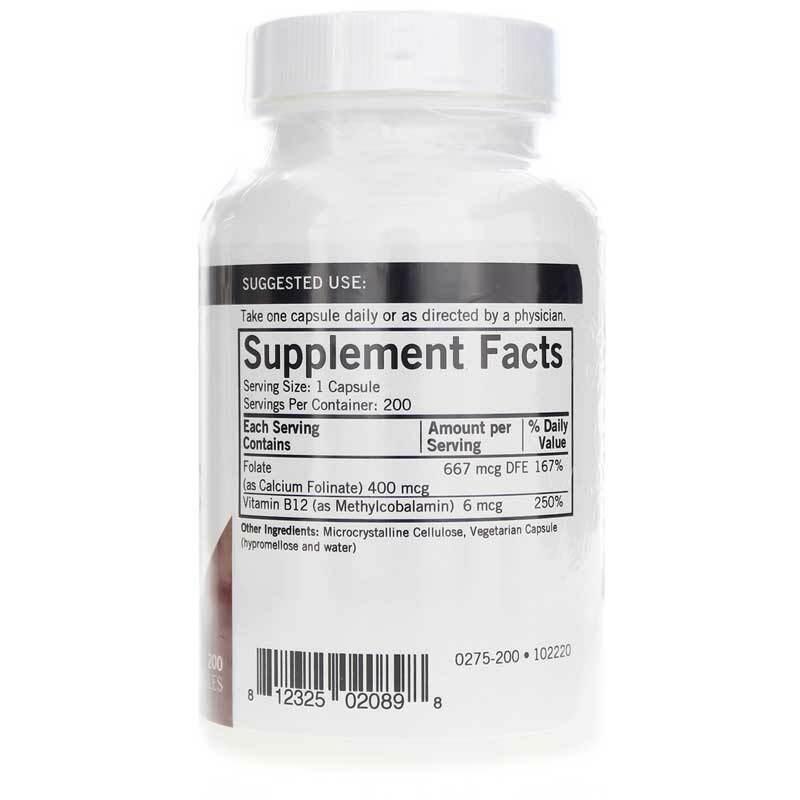 This supplement uses folinic acid, a form of folic acid that is metabolically active and requires less conversion in the body. It also contains a bioavailable form of vitamin B-12, calcium folinate. Folinic Acid with B-12 is free of soy, wheat, gluten, corn, sugar, starch, casein, milk, egg, yeast, fish, tree nuts, peanuts, gelatin, preservatives, colors and flavors. 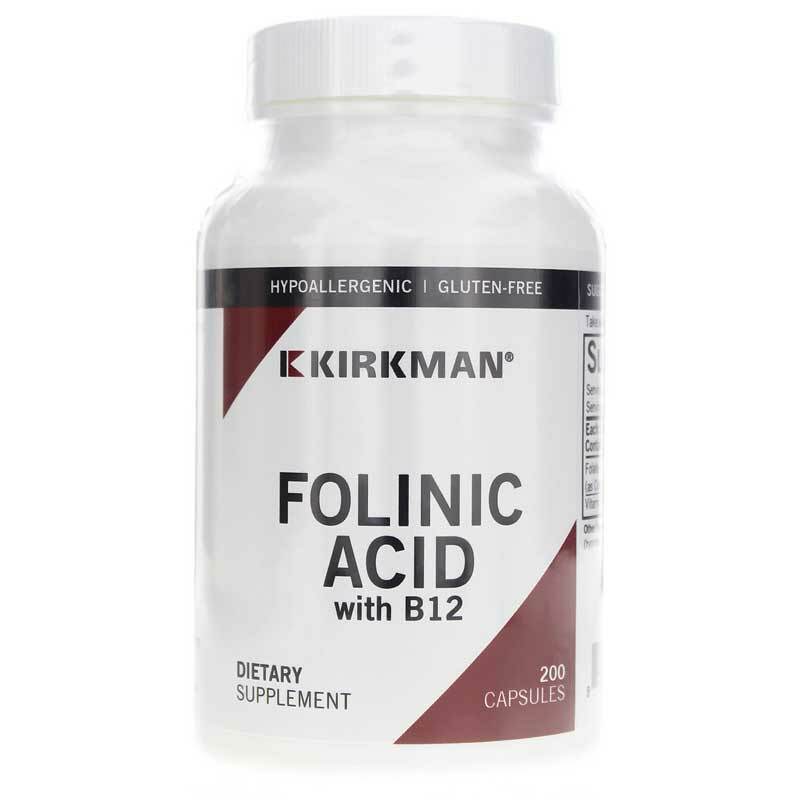 If you're looking for a hypoallergenic supplement that will help you get the folic acid you need each day, consider Kirkman's Folinic Acid with B-12. Ingredients: Di-Calcium Phosphate, Plant Cellulose, Calcium Folinate, Methylcobalamin, Plant Cellulose Capsules. Contains NO: Sugar, starch, soy, wheat, casein, gluten, milk, corn, egg, preservatives, yeast, gelatin, flavorings, colorings, peanuts, tree nuts or fish.